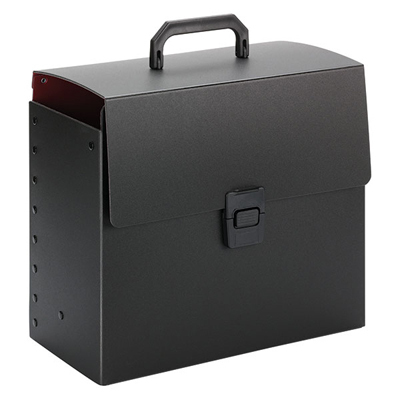 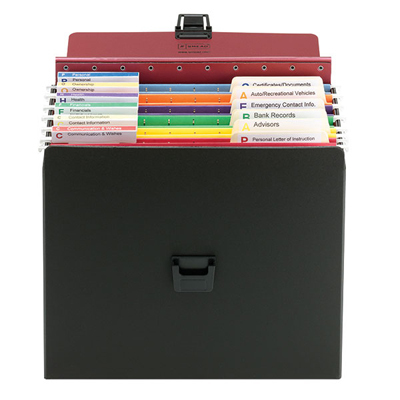 The Life Documents Organizer Kit helps you organize and store key life documents such as wills & trusts, health care directives, investment and retirement plans, marital documents and contact information. 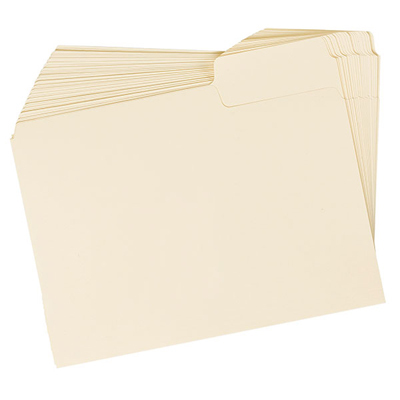 Having your papers in order alleviates the guesswork and stress of locating important documents in case of an emergency or occurrence of a life-changing event. 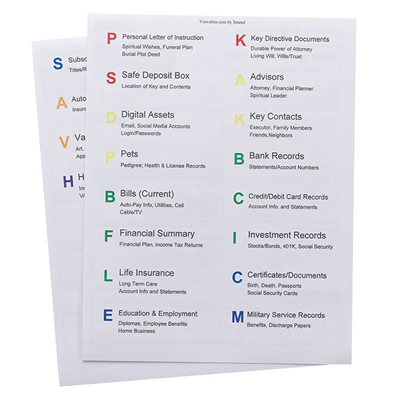 Having your key life documents organized helps to ensure that your wishes and assets are managed, retained and distributed as needed while being less stressful for you and your loved ones. 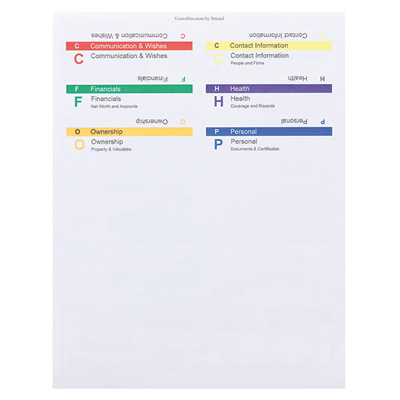 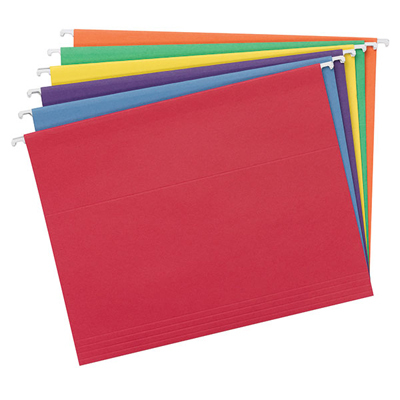 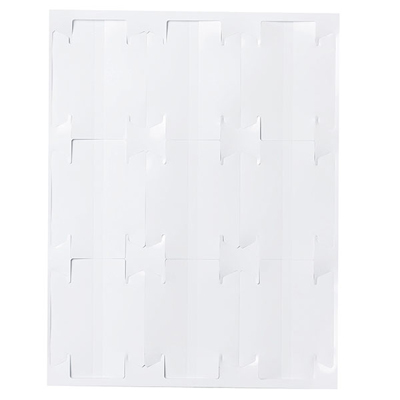 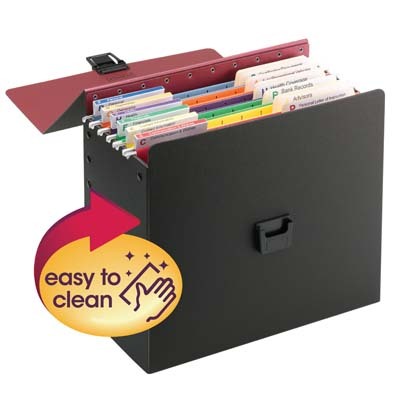 Each kit contains 6 colored hanging folders, 24 SuperTab® file folders, 1 sheet of Viewables Quick-Fold tabs, 3 label sheets with pre-printed labels and a detailed instruction sheet.